Schizophrenia is a mental disorder that has no cure, but there is effective treatment available to control the symptoms of this disease. Schizophrenia is a rare mental illness, and one that is extremely destructive and dangerous if not treated appropriately. It is estimated that less than one percent of the global population will develop the condition, and while this disorder starts to appear most often in the adolescent and early adult years it can strike at any age. Schizophrenia in severe forms can be dangerous, not only to the individual suffering from this disorder but also to others around them. Adult onset- The disease does not appear until later in adulthood. 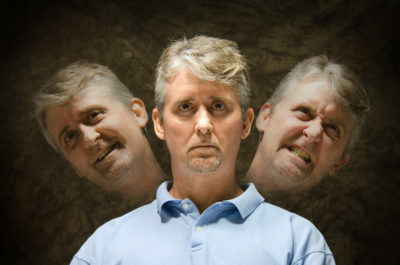 Paranoid- This type of schizophrenia involves hallucinations or hearing voices, and grandiose delusions are common along with violence and suicidal actions. Disorganized- This type of the disorder involves disorganization regarding speech and behavioral patterns, such as inappropriate behavior or comments. Catatonic- Individuals with this type of schizophrenia may seem unresponsive, or completely distant. Sometimes these individuals will copy spoken words or actions, while not responding at all at other times. Residual- This type is diagnosed when there has been at least one episode of schizophrenia, but the positive symptoms of the illness are no longer present. Undifferentiated- This diagnosis is used for this disorder when the individual shows symptoms from more than one other type. The symptoms of schizophrenia can include delusions, hallucinations, hearing voices, disorganized speech, disorganized behavior, catatonic behavior, and the lack of certain important skills or abilities. The severity of these symptoms can range from mild to severe, and in some cases an individual with schizophrenia may need to be hospitalized. This is especially true if there are substance abuse or addiction issues in addition to the mental disorder. When this mental disorder is combined with substance abuse the delusions and other symptoms can become much worse. This type of dual diagnosis requires special treatment, and this treatment must examine and treat both the schizophrenia and the addiction. If this is not done then the mental illness symptoms will never disappear. Treatment for schizophrenia can include antipsychotic medications, but this illness requires a lifetime of treatment. A big problem with this disorder is that the individual stops the medicines because the feel better, and this leads to a slow decline again. Some of the medications used have even been approved by the FDA for use with teenagers, and medication on a daily basis is usually the only treatment that will work.